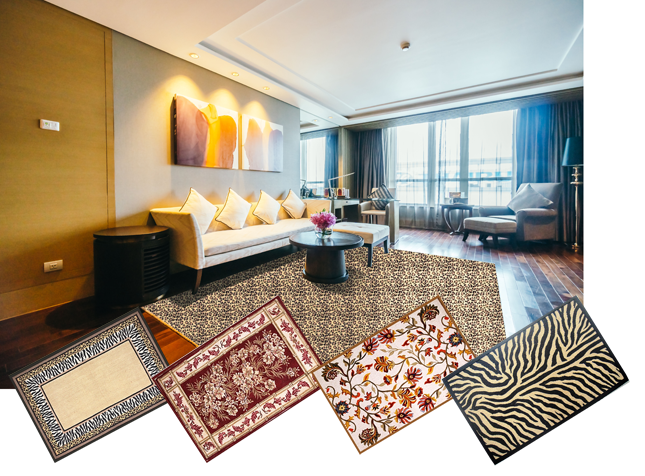 The plain-woven jute rugs of various sizes are printed with custom-made designs as per the requirement of the buyer. The printing is done with the help of stencils and the printing system is non-toxic and eco-friendly. We have designs ranging from single colour to multiple complex designs having 8-10 colours. We use high quality jute yarn and consistency in quality is ensured with checks at various stages.